Whew! It’s nearing the end of August and boy, it’s been a busy one! 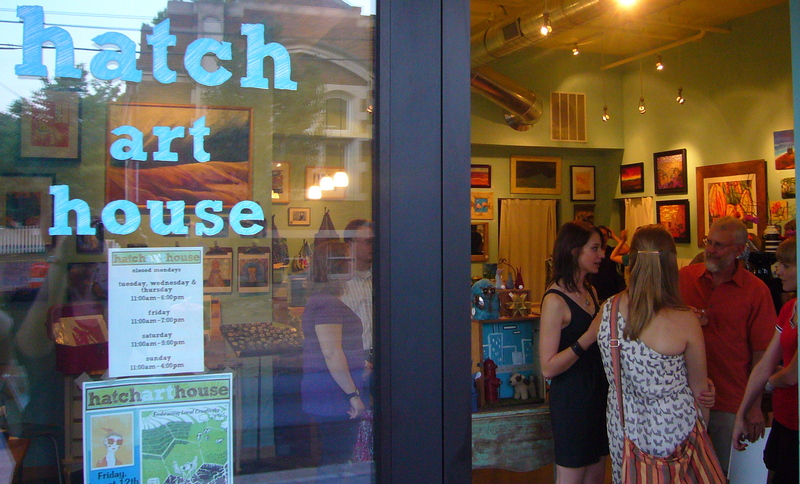 The August Artist reception was very well received… linocut artist, Juliet Darken is officially a Hatch hit! The Darken Family; Juliet is third from the left. 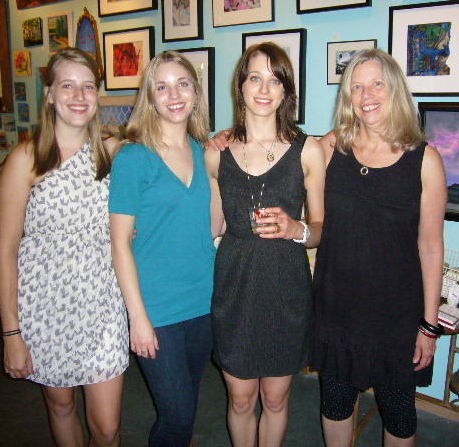 It was a perfectly, gorgeous night for an art opening! 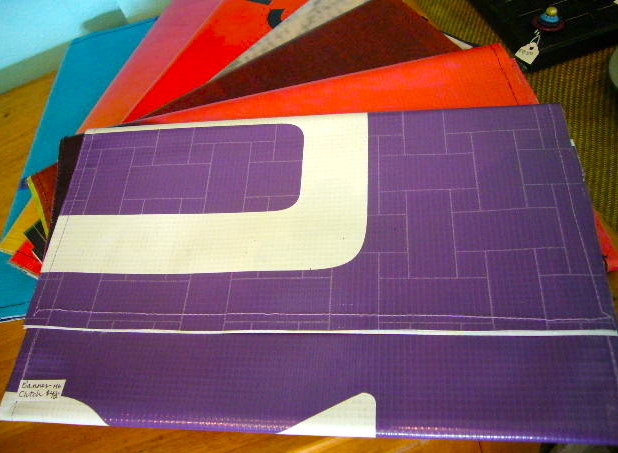 Other news: Sunday, August 28th, Hatch will have a booth at Orton Park Festival… Here is a link. 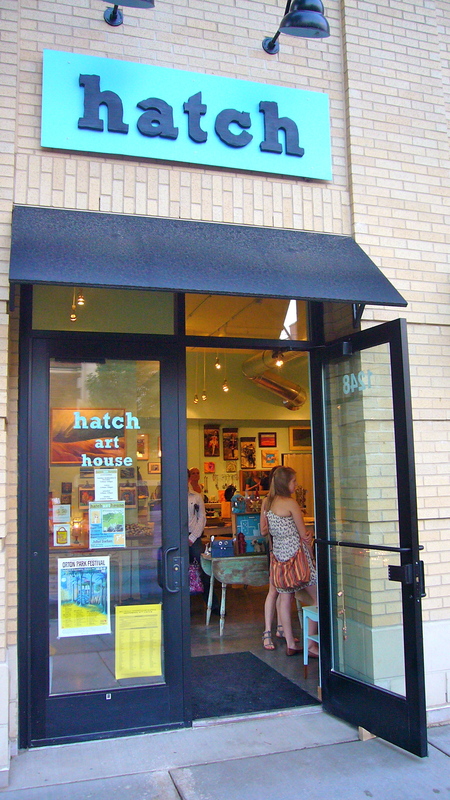 http://www.marquette-neighborhood.org/activities/index.php?category_id=4733&subcategory_id=7864 Hatch will also be open, with our favorite potter, Jenny Blasen, working in the shop. 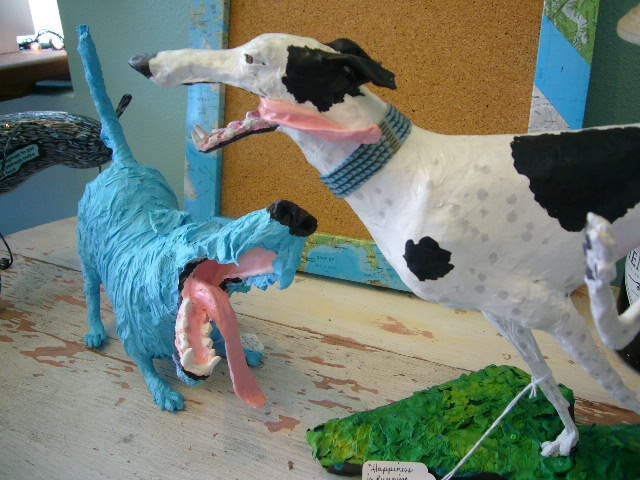 Steve Wirtz paper mache sculptures. 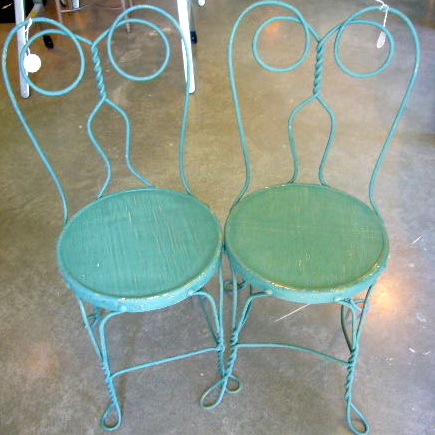 Vintage Chic is spot on for this pair of lovely and kinda hard to find, ice cream parlor chairs (1930's?)... Twisted wrought iron and newly constructed seats will hold you up no problem:) $98 each. 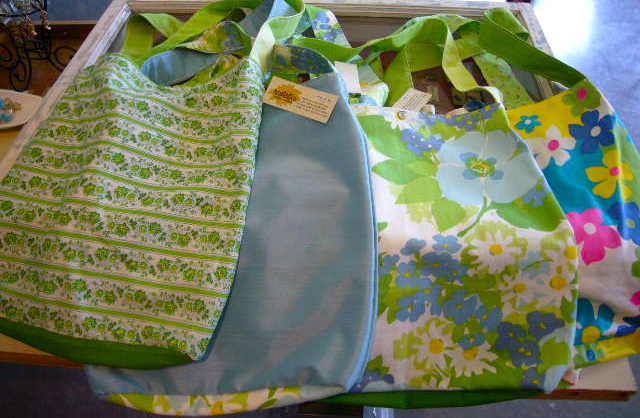 Tote Bags...a great use of vintage fabric! Lightweight and the perfect size. 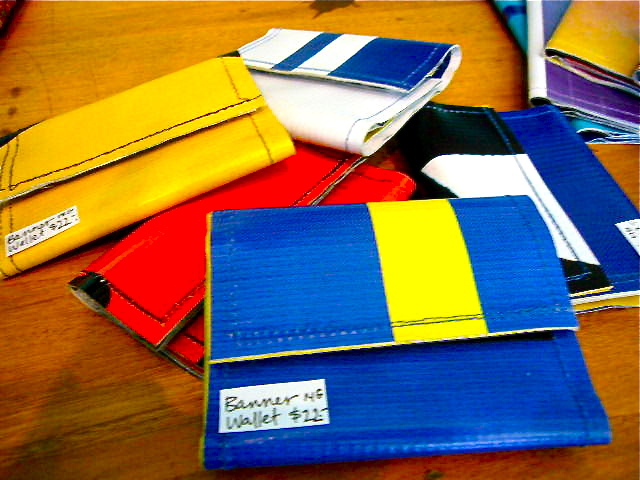 Be the envy of your fellow farmer's market shoppers:) $26 by Naystalgia Vintage Creations.